To create a workspace head to the menu on the left-hand side and click Workspaces. You can also click the add button by hovering over Workspaces. If you have existing workspaces you'll be able to see a list of them by opening the menu. Click Add Workspace. You’ll then be asked to name it and select whether you'd like the workspace to be visible or secret. Visible workspaces - This type of workspace can be found by other users. 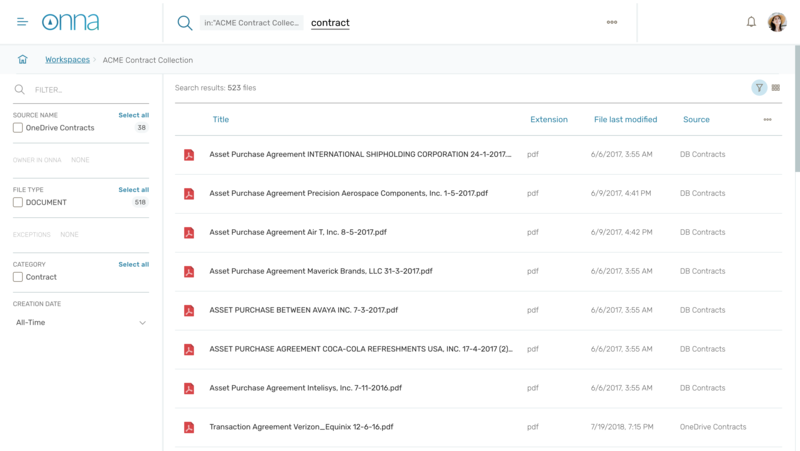 These are useful for sources containing company updates or files that you'd like to be made available for other users on Onna. 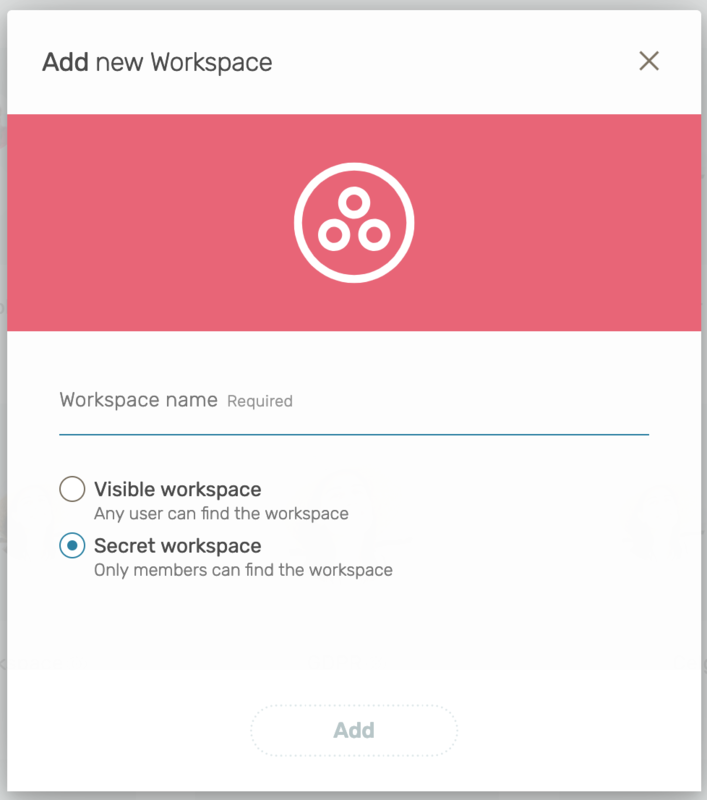 Secret workspaces - This type of workspace remains invisible to other users unless they are members of the workspace. Once you’ve created your workspace, you'll be taken to the workspace home page. 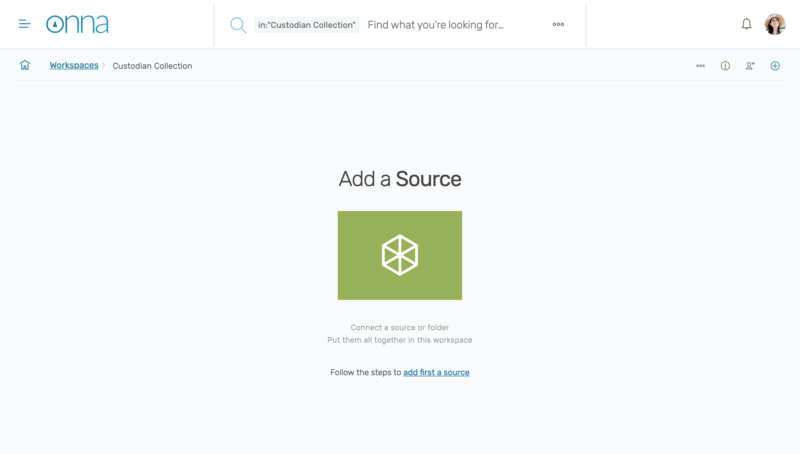 The first screen will prompt you to add a source to get started. From this screen you can also access the workspace information panel. 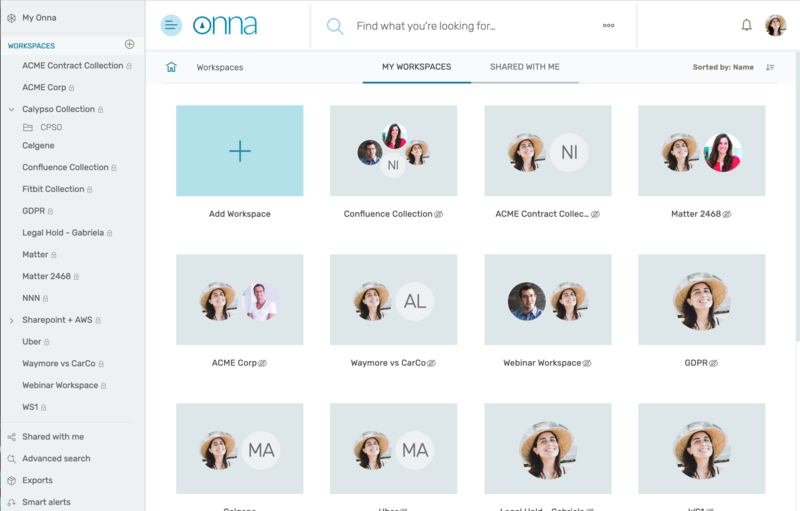 From the first screen you can add users to the workspace using their email. 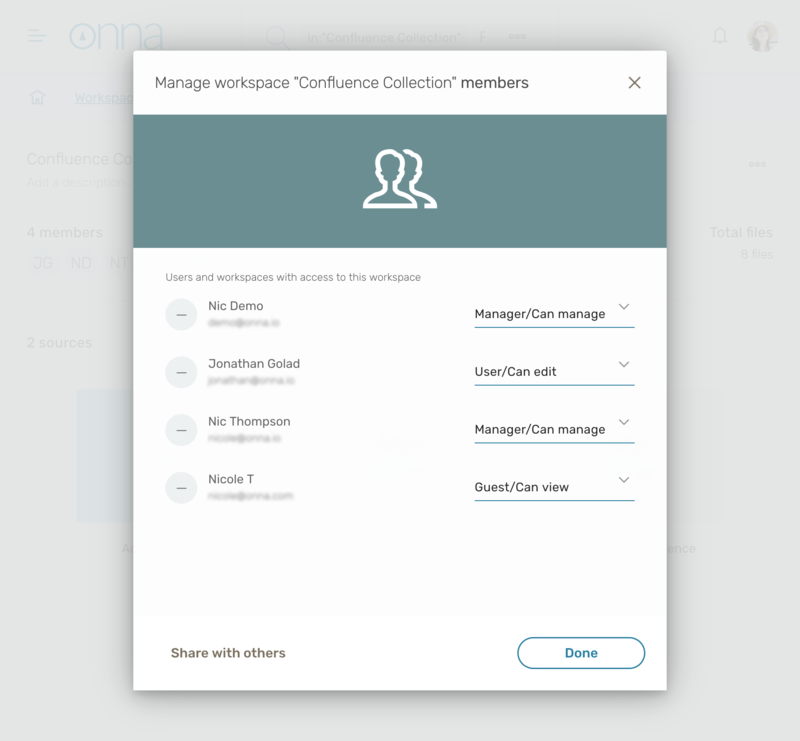 Note: Currently you can only add group members that already have an account with Onna. To add someone to your Onna account, contact your system admin. 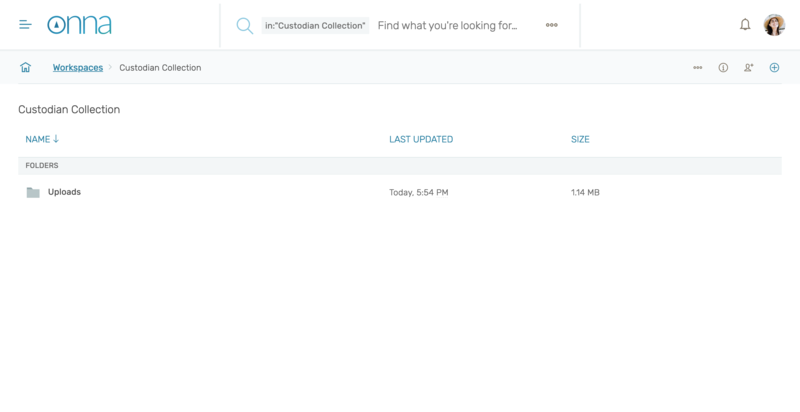 If you are using workspaces to collect a source, invite the custodian as a Manager or as a User. From this screen you can change permissions or remove users by using the dropdown. 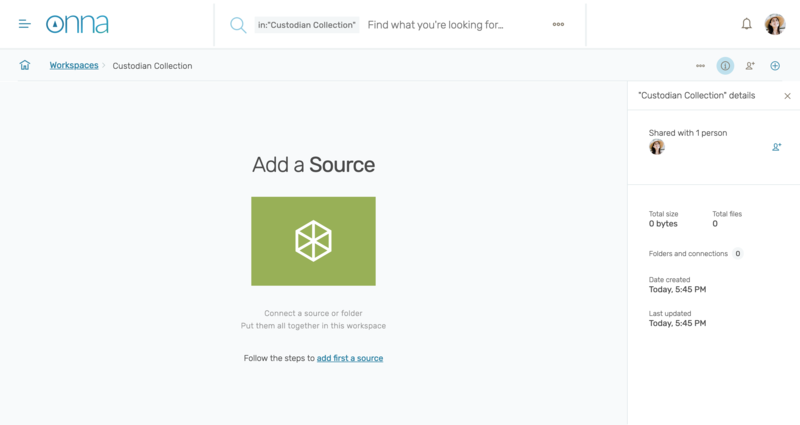 To add a data source inside the 'Add new source' button in the home screen of the workspace. This will take you through the authentication workflow for any of the sources available to the user. Connected Sources have their own subsection. Clicking on the details button will reveal the following panel with a summary of the workspace information. To close, click on the X at the right hand side. 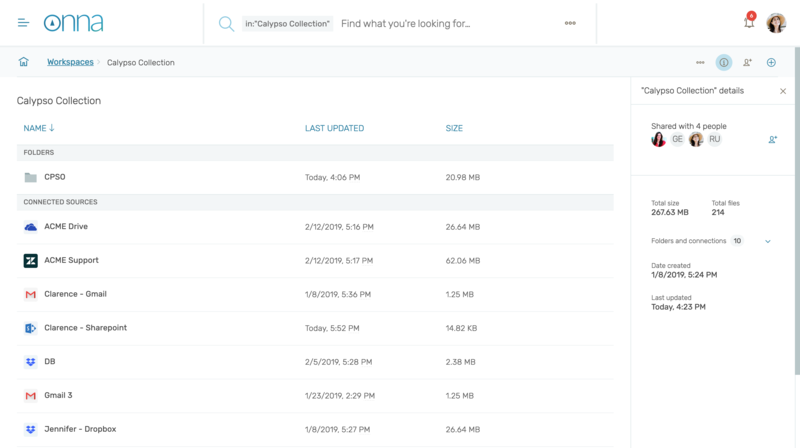 Use the search bar when you’re in a workspace to search only within the data sources that have been added there. 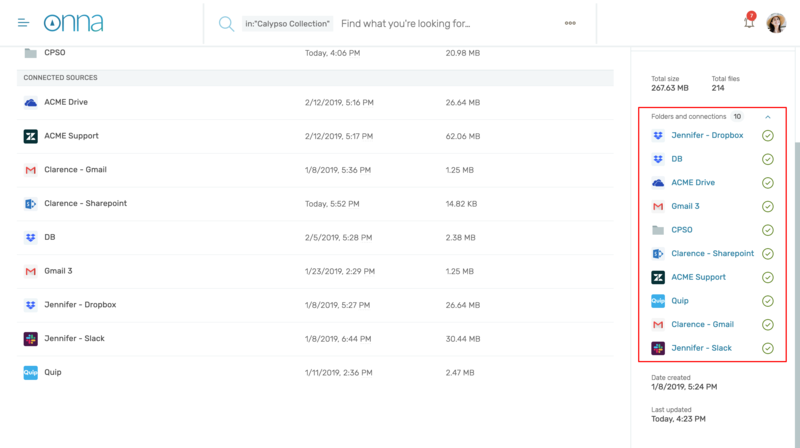 You'll be able to see the workspace title in the search bar as demonstrated below. Note that the results will show up on the files screen. 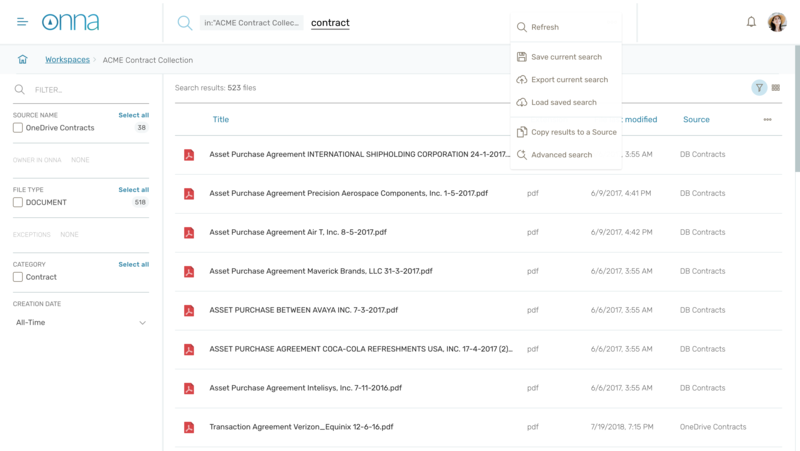 Exports can be created by exporting entire sources or exporting a search. Select 'Export current search' to be taken through the export configuration workflow. You can also select 'Save current search' to save and decide to export later.